The first year of your baby’s life is vital due to essential health developments. Your infant needs to eat healthy so that he grows into a fine toddler! 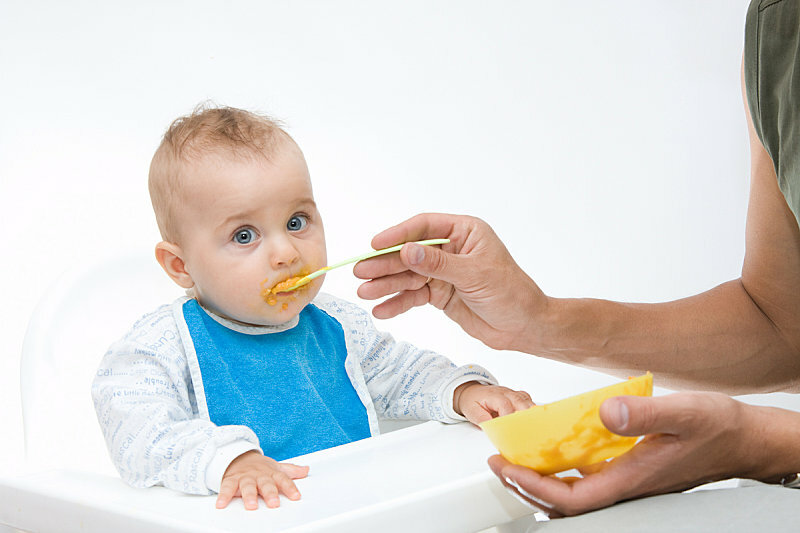 Are you struggling to feed your baby, who is hungry at regular intervals? If you are wondering how to feed your child healthy baby foods so that he retains his energy to run around, we are here to help! Below, is a healthy baby food guide. Four months baby food – It is advisable to start feeding your baby some solid foods from now, to get him accustomed to eating. Use bananas, avocados, carrots, sweet potatoes, apples, and pears to prepare healthy meals. Make sure to mash them into a fine paste so that he can easily gulp them down. These foods are rich in vitamins, proteins, and iron, and can be prepared in the form of soups and juices, to soothe the little one’s picky taste buds! Six months baby food – Breast milk and absolutely liquefied diet alone may not suffice the baby’s requirements at this stage. You may introduce mild solid foods, not completely mashed. Prepare a combined meal of rice, pulses, and vegetables, into a semi-solid configuration. This healthy meal will provide the nutrients required for positive growth. You won’t have to wait for long to see your baby full of energy and mischief all the time! Eight months baby food – Continue serving the same solid foods to your baby, with some additions like external milk and dairy products in a limited quantity. The food consumed now, can take a more solid form but should remain very soft for him to chew. The healthy meal that you prepare, must contain proteins and vitamins that are vital for cell development. Twelve months baby food – Now you can include some extremely mild spices in the meals. Spices and herbs like turmeric, cumin, cinnamon, cardamom, cloves, ginger, and garlic have properties that help reduce stomach ulcers and improve digestion. These spices are not hot and will not cause discomfort to your little one’s delicate tummy. You can also include wholesome grains like wheat, oats, and millets. Baby food made with these ingredients are bound to be full of essential nutrients that will be healthy and yummy! 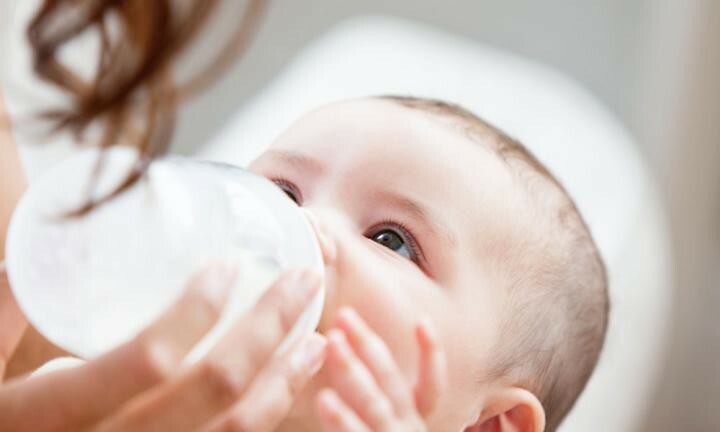 Constant supply of milk – Along with solid food, there must be a constant supply of milk, preferably mother’s milk. Breast milk contains essential nutrients that enhance the development of immunity from a tender age. External milk is acceptable if it is carefully pasteurised and diluted. Good quality milk is required for the development of stronger bones. After all, stronger bones make him more active and energetic! Don’t you want to see that twinkle in his mischievous eyes? Your baby is deserving of the whole wide world around him! Make sure that you follow the above guidelines while preparing wholesome food for him, so that he does not create much of a fuss! Eating wholesome food will make your child grow faster and become an active toddler!